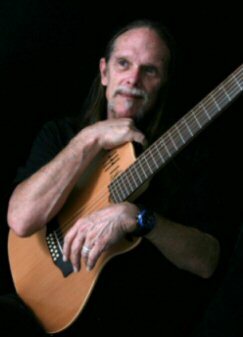 Continuance was mixed over a period of 4 months by Joe Primeau, who works both in audio music as well as film.. His work includes Tower Of Power, REO Speedwagon, Burton Cummings and Gino Vanelli. His mix far exceeded my vision. Chuck Ferry mastered it. Chuck is a longtime friend who introduced me to Joe Primeau. Chuck is currently Mastering Engineer for Varese Sarabande Records, the company that releases all the soundtracks from major films. I lost one of my closest and best friends in this world on Nov.7th of this year. Paul Buckmaster. A musical giant in the world of music. Paul and I knew each other for more than 50 years. He, like J. Peter Robinson collaborated on almost every album I have made. Continuance was the last project he worked on that has been released to the public. I loved him dearly and I will miss him so much. This CD is timeless and I feel proud of the work we have all done. I have the utmost respect and gratitude for the musicians, engineers, co-producers, and everyone who contributed to this work. They have allowed me the indulgence and joy of creation and the drive to keep on doing what I love. Hello to all my fans, friends and music lovers! Every now and then, a CD comes along that is completely different from anything else that�s out there - Continuance! As some of you know, I was offered the use of an extraordinary studio ,Roselane, in Carpenteria Calif. by my friend Sjoerd Auke Koppert. I met Sjoerd when I was the opening act for YES in 1972 in Holland. He got in touch with me last year and suggested we do a project together. It had been 44 years since we last spoke! I started a Kickstarter campaign to cover the cost of the musicians and post-production - and I was deeply touched by the wonderful generosity of those who contributed. Knowing Sjoerd's amazing history in audio (house mixer for musicians, like Yes, The Who, Pink Floyd, The Rolling Stones, etc) I decided to let him pick the musicians to work on it. it was one of the best decisions I've ever made! The musicians he picked were: Sebastian Persini on drums. A young South American who is one of the best drummers I have ever worked with! You know I've worked with some of the finest session drummers out there (Ralph Humphrey, Jeff Porcaro, Steve Gadd and Jim Keltner)! Anthony Crawford on bass. Anthony is a jazz/fusion bassist. I've worked with, Leland Sklar, (Phil Collins, James Taylor), John Paul Jones (Led Zeppelin), Chuck Rainey, Alphonso Johnson and Anthony shines as brightly as they do! Brockett Parsons on keyboards. Brockett is Lady Gaga's keyboard master and has worked with her for the last 5 years. From my first album, to almost every one of the 24 albums I've recorded, I've had the honor and pleasure of working with my dear friend J. Peter Robinson, an extraordinary composer and pianist. Pete was fully committed with other projects during the Continuance recording sessions, so I was incredibly fortunate to have Brockett step in and display his astounding creativity. 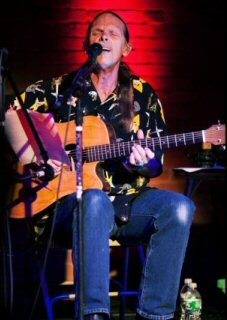 Guitars were played by myself, Josh Seguin, (they call him Captain Shred) and on the song "C'Mon Round", country-style guitar was played by Jonathan McEuen, the son of John McEuen, founder of the Nitty Gritty Dirt Band. Danny Janklow played tenor and soprano saxophones. His lyrical ability stunned me. He did almost everything on the first take of each tune. Now, here's the thing - these 6 musicians bring a presence of all that is best about every name I've played with at one time or another. That folks, is one hell of a band! What was born of this collaboration is the CD entitled "Continuance". I had never met any of these guys before. We never did more than 5 takes on any song. There is a great deal of improvisation throughout this CD. We were all in the same room when recording. I have a golden rule when in the studio with musicians of this calibre - "Don't ever tell the musician what to play". Tell them the lyric, then play them your vision of the basic musical structure and let them add their vision to that. You get magic! This is my 25th CD. Personally, I think it is the best I've done. The reaction to this work has been exceedingly positive. My dear friend Bob Ezrin, ( co-producer with Dave Gilmore and Roger Waters of he Wall) whose opinion I highly value, said,"The CD arrived this afternoon and I sat there with a huge grin on my face all the way through. This record is pure Shawn Phillips". Several other people have said exactly the same thing. However, the highest praise I've received has been from my beloved wife Juliette, my soulmate for life, who is not my biggest fan (at all!). While I was on tour, she called me one day and said, "you know I've never been a fan of your music, but I have to tell you, this CD is fantastic!" Blew me away!This CD is one of the best fusions of rock, jazz, fusion, and classical I've heard. As many of you know, I try to make movies for your mind on my CDs and on this one, every track flows seamlessly into the next track. I had one person tell me, "If you listen to this all the way through non stop, it will exhaust you. There's so much going on. It will take me months to hear everything". There are walls of sound happening that gradually allow you to let the lyrics settle you into a meditative state. The real making of a CD comes down to the mix. This is when the truth comes out.